&apos;Before you two go, you are not going to remember all of this.&apos; The voice returned . I frowned my eyebrows. &apos;What do you mean?&apos; Sergio asked. &apos;They said than we can go, there&apos;s no other option. I don&apos;t want it either but I just want to go home.&apos; I mumbled. &apos;You didn&apos;t even asked for another option.&apos; He said while throwing his hands with anger in the air. &apos;Does these 24 hours mean nothing to you?&apos; His voice cracked. He shook his head in disbelieve, i understand his point but I just want to leave as soon a possible. Sadly it&apos;s the option that they will erase our memories. How they will do it is the question but that will be answered very soon because everything what happened these past hours looked like science fiction but real. &apos;That was the seven test, congratulations you two past them all.&apos; The voice said. &apos;What?&apos; Me and Sergio said at the same time. Sergio looked at me and looked away. &apos;It wasn&apos;t pure love, she wanted to erase her memory and she didn&apos;t even ask if there was another option.&apos; He said. &apos;When can we leave?&apos; He interrupted me. My stomach made a weird twist and i just wanted to throw up. I feel so stupid and ridiculous and so much more. Now i know that i hurted him and see that he actually.. Loved me? &apos;Do you love me Ramos.&apos; I almost whispered. 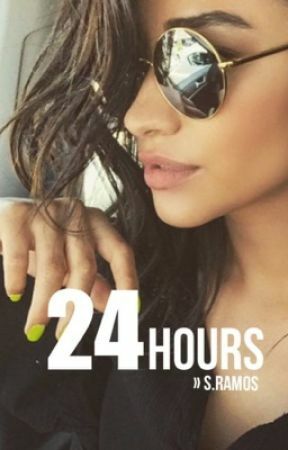 &apos;You just know me for 24 hours.&apos; I added.